Bacon update on a traditional classic. 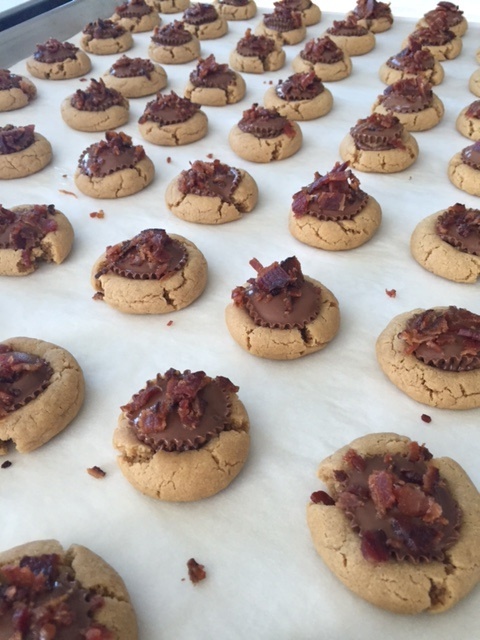 This peanut butter based cookie dough is infused with bacon two ways, bacon fat, and crispy bacon pieces. 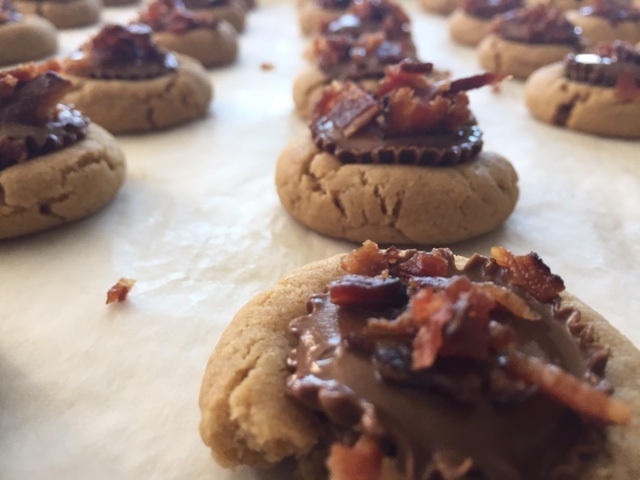 This cookie is crunchy on the outside, chewy on the inside with a melt in your mouth peanut buttercup that is topped with applewood smoked bacon pieces.